hd00:35DUBAI - NOVEMBER 17: Fountain near Burj Khalifa illuminated by the city at night, November 17, 2012 in Dubai, UAE. Burj Khalifa is the tallest man-made structure in the world. hd00:20DUBAI, UAE - NOVEMBER 13: Downtown Dubai area overlooks the famous dancing fountains on November 13, 2013 in Dubai, UAE. 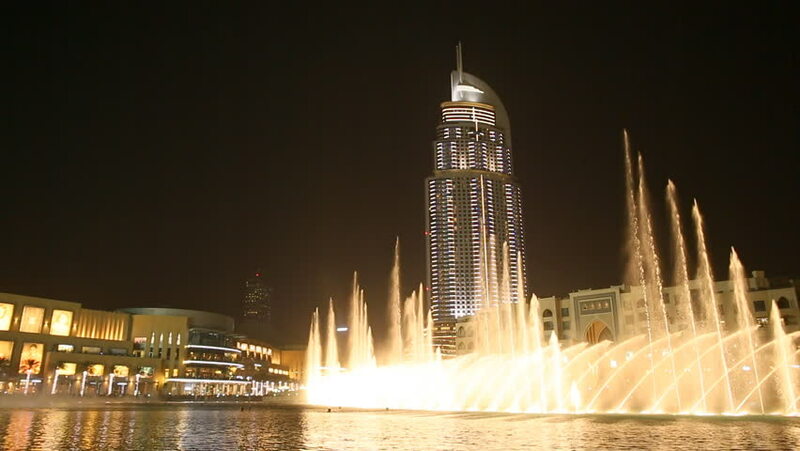 4k00:09DUBAI, UAE - APRIL 10 2015: night iilumination dubai world famous hotel fountain show panorama 4k timelapse circa april 10 2015 dubai, united arab emirates. hd00:08Dubai - June 5 : Dubai Fountain area near Burj Khalifa and Dubai mall on June 5,2015 in Dubai.